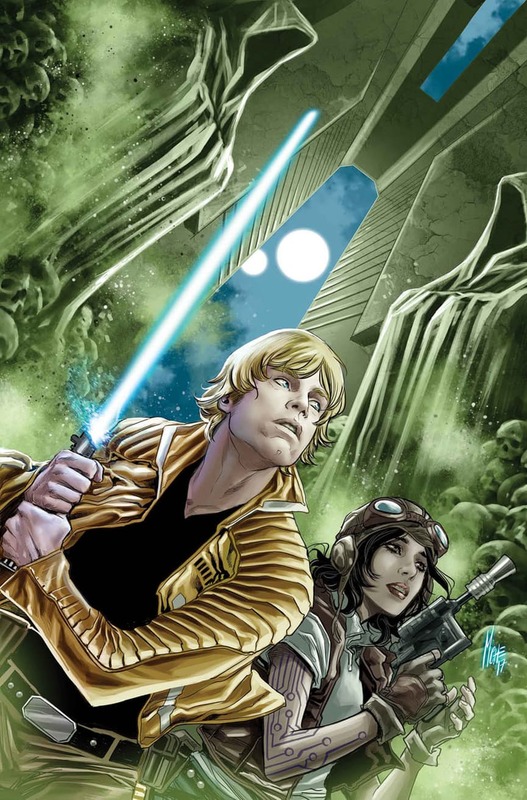 Marvel has released the solicits for their books coming out May 2017. Here are the top 10 picks from this month. 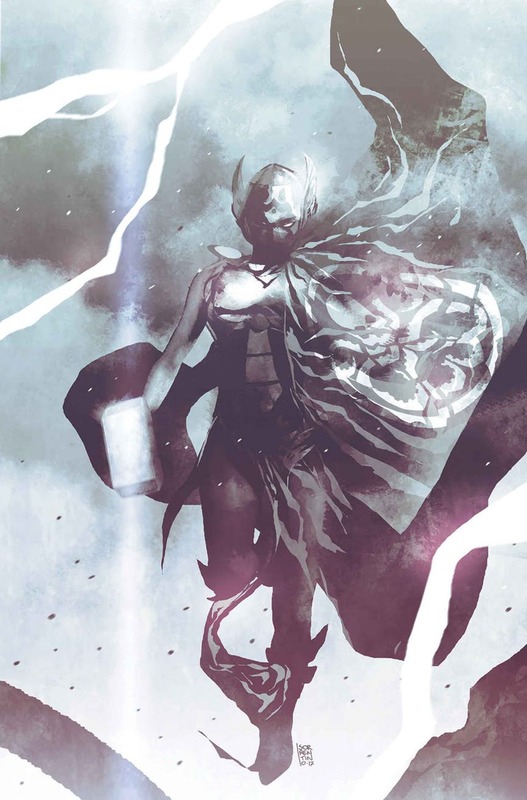 Enshrouded in darkness, plagued by the minions of Baron Mordo and cut off from all assistance, The Defenders and Doctor Strange struggle to save the lives of the innocent people consigned to this hell on Earth. Will Dagger prove to be the key to stopping this nightmare? Meanwhile, will the appearance of a new hero provide Iron Man with the key to Captain America’s startling change? THE SECRET EMPIRE WILL DEFEND YOU! Under constant attack from wave after wave of invading Chitauri aliens, Captain Marvel and the deep space task force under her command is waging a war of attrition — one they may not be able to survive! And back on Earth, things aren’t looking too rosy for Hawkeye and his band of renegade heroes, either! But don’t worry —THE SECRET EMPIRE WILL AVENGE YOU! Captain America has been revealed to be an agent of Hydra – and he’s coming after Inhumans! S.H.I.E.L.D. Agent Daisy Johnson, a.k.a. QUAKE, wants no part of Hydra, so she goes underground, teaming up with MS. MARVEL, MOON GIRL & DEVIL DINOSAUR, KARNAK and INFERNO to set things right – for the Inhumans, but also for the entire country! Penned by rising star Matthew Rosenberg (Kingpin, Rocket Raccoon, 4 Kids Walk Into A Bank) and drawn by the immensely talented Javier Garrón (Death of X, Inhumans vs X-Men), SECRET WARRIORS is one part coming-of-age story, one part spy-thriller, all action and all heart. Don’t miss the next (and final?) generation of Inhumans as they take the Marvel Universe by storm! THE KING OF THE INHUMANS’ FIRST SOLO SERIES! Black Bolt imprisoned! But by who? And where exactly? The answers to both will shock you! But to learn those answers, Black Bolt must first win a fight to the death with a fellow inmate — The Absorbing Man! Award-winning science fiction writer Saladin Ahmed (Throne of the Crescent Moon) crafts a story as trippy as it is action-packed, with truly mind-bending art from the one and only Christian Ward! 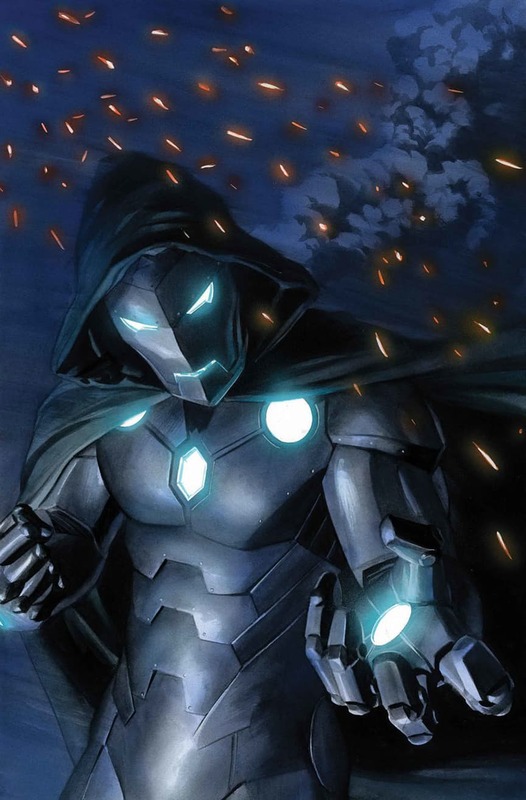 The Infamous Iron Man joins the Avengers – or, to hear him tell it, they’re joining HIM. How will Earth’s Mightiest Heroes react to a reformed villain like Doctor Doom? REUNITED, AND IT FEELS SO GOOD! Or, feels so bad? However it feels, Eddie Brock and the Venom symbiote have been reunited, and they’re web-slinging their way around New York again. Featuring a host (hah!) of Venom creators from the character’s near 30-year history, this monstrous anniversary spectacular welcomes guest artist TRADD MOORE for an oversized and brutal main story AND a lethal story featuring fan-favorite creators David Michelinie and Ron Lim, reunited! With questions still lingering about how the symbiote was separated from Flash Thompson, and what lies in its future now that it’s reunited with Eddie Brock, this is one issue you can’t afford to miss! 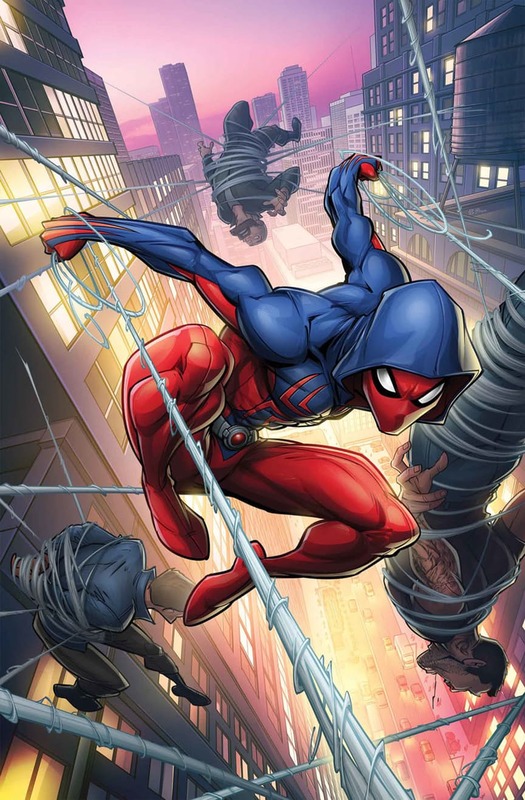 The Scarlet Spider is back and madder than ever! Ben Reilly, after his plan to take over the world was foiled, is trying something new. You won’t believe what you read here! Mutantkind’s dearest delinquent is back! 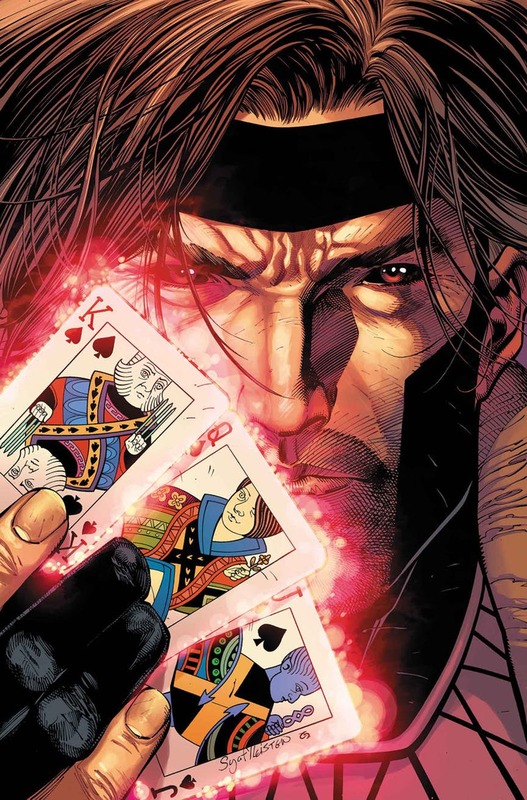 GAMBIT is up to his old tricks – namely, getting in over his head… But will the X-Men be able to pull their prodigal prowler out of the fire when things finally get too hot for the ragin’ Cajun?